In my book Glome’s Valley, Ethan is trying to make the best of a boring summer while his father solves an ancient riddle that has plagued archeologists for years. Ethan and his dad go to Heavener, Oklahoma to read the ancient rune stone, and he was sure he would be bored on this trip. But, he quickly makes new friends. So what if one of them is a ghost! Just when Ethan was sure he couldn’t get back home by himself, they topped a hill and his nose was assaulted with the most wonderful scent. There on the other side of the hill were trees in bloom with flowers of every color in the rainbow. The sun bounced off the valley that almost glowed. Lilacs bloomed on both sides of a pathway that led into the valley. Dogwoods rained down their petals like it was snowing, but more instantly grew back in their place. The promise of spring and bounty was all around with apple and peach trees in bloom. Butterflies floated on a layer of fragrant air in the leafy shadows. Birds chirped and rabbits munched on tender violet leaves. Ethan thought it was the most beautiful place on earth. Glome stopped and squatted down. Ethan mimicked him even though he didn’t know why, but maybe he needed to do the same. Glome picked up a handful of dirt and ran it through his fingers. He sniffed the air. “It’s safe,” he proclaimed. “The trolls aren’t here,” and he motioned everyone forward. Glome and the fairies crept slowly into the fragrant woods with their swords drawn. With no sword of his own, Ethan picked up a stick knowing it was not much of a weapon against a troll. When your son gets lost in the forest of southeastern Oklahoma and you are trying to decipher the ancient words on the Heavener rune stone, there’s an app for that. 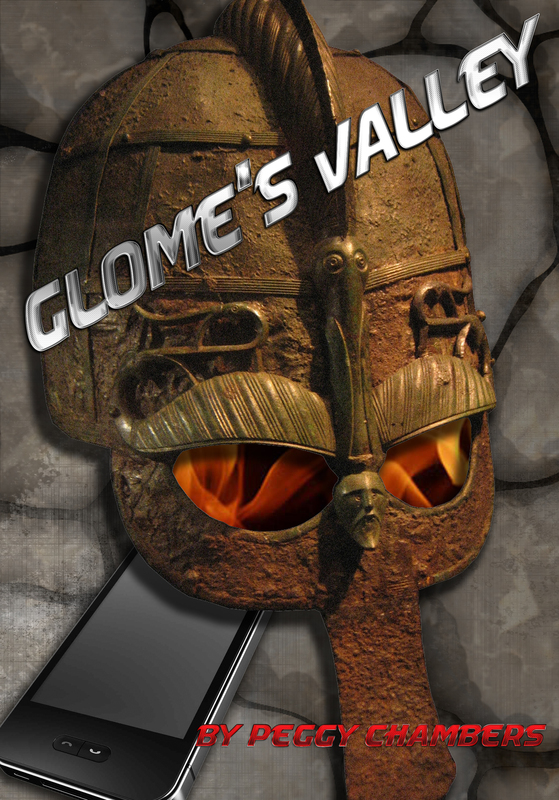 Glome’s Valley is a pre-teen fantasy book e-published and available at Amazon.com for the Kindle, IPad, IPod, IPhone, Android Smart Phone or PC. Check it out! This entry was posted in Uncategorized and tagged archeology, children's books, fairies, fantasy, Glome's Valley, Heavener, middle readers, Oklahoma, pre-teen, rune stone, trolls. Bookmark the permalink.